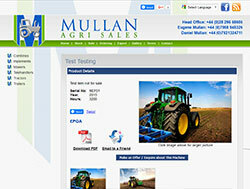 Mullan Agri Sales specialises in the sales and supply of farm tractors and agricultural machinery. 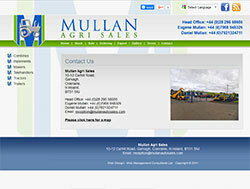 Mullan Group consists of Mullan Auto Sales, Mullan Plant Sales and Mullan Holdings. 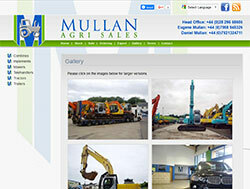 The company operates through out the whole of Europe and the rest of the world alike.